A stunning smile could be your most eye-catching feature. We recognize the impact your appearance has on personal and professional success. 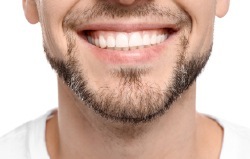 With cosmetic dentistry's many advances, patients no longer have to settle for stained, chipped, or misshapen teeth. You have choices that can help you claim a beautiful, confident image. Even subtle changes can make a dramatic difference in the way you look and how you feel about yourself. Teeth whitening will brighten your smile, and porcelain veneers can remove unsightly flaws. If you prefer, we can totally transform your appearance with a smile makeover. 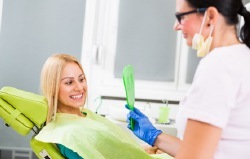 For cosmetic dentistry cases, we like to begin with a consultation. Dr. Alani, a skilled cosmetic dentist in Uptown Houston, will talk with you about your expectations and listen to your ideas for a perfect smile. Dr. Alani will then review the options most suitable for your desired outcome and design a detailed plan for your new look. 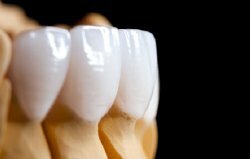 Porcelain veneers are very thin pieces of porcelain that Dr. Alani attaches to the fronts of your teeth. They can disguise discoloration, cracks, chips, small gaps between the teeth, and more. The process usually only takes two dental appointments, and the stunning results can last for decades! Porcelain is even stain-resistant, so you won’t have to worry about your coffee habit dimming down your new glow. If you’re not ready to commit to porcelain veneers, or you’re looking for the most budget-friendly way to transform your look, Snap-On Smile may be perfect for you. Dr. Alani is one of the foremost providers of this service in the United States. She designs a custom, removable prosthetic that fits in seamlessly with your natural features and disguises the aesthetic flaws in your teeth. Snap-On Smiles are made of a durable resin and can standup to everyday eating and drinking. Are you tired of seeing dull, yellow teeth every time you smile at yourself in the mirror? Dr. Alani provides Zoom! in-office teeth whitening. This remarkable treatment combines a powerful bleaching gel with a special light; they work together to penetrate the teeth and break up even stains that have been there for years. The procedure only takes about one hour, is very safe, and produces dramatic results. If you have just one or two teeth whose appearance bothers you, cosmetic bonding may be the ideal solution. During this simple and quick procedure, Dr. Alani molds a special tooth-colored resin over the tooth and hardens the resin with a special light. Cosmetic bonding may be the perfect way to reshape that chipped tooth or get rid of that unsightly little gap at the front of your mouth. A smile makeover is not a specific treatment. Rather, it is a treatment plan that is custom-made to help you achieve the smile of your dreams. The process begins with a consultation, wherein Dr. Alani will talk with you about your goals and expectations for your new look. Then, you can decide which treatments to undergo in order to correct all of the flaws that are plaguing your pearly whites. Correcting dental misalignment can both boost your confidence and improve your oral health. Invisalign uses clear, removable aligners to gently reposition your teeth over time — no ugly brackets and wires required! 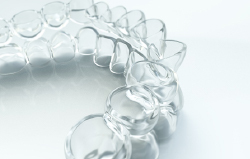 Invisalign is a popular treatment for adults because of its discreet appearance and unrivaled comfort and convenience. It is able to correct most orthodontic issues, including crooked teeth and bite problems. The vast majority of dentists offer oral cancer screenings, but they may simply use a tactile and visual examination to look for signs of the disease. Dr. Alani goes a step further. She employs advanced VELscope and Identifi technology to look for even the slightest indication of oral cancer. The screening process with these tools is both fast and painless. Lumineers and minimal prep veneers are just like traditional porcelain veneers in that they cover aesthetic flaws in teeth. However, they are even thinner than porcelain veneers, which means that less tooth preparation is required. Therefore, you can get the same stunning results but with less discomfort and less alteration of your natural dentition.